Also: A Red Dead companion app. Red Dead Redemption 2 is just a few days away from launching for PS4 and Xbox One. Rockstar's wild west prequel will launch this Friday, October 26, and there'll be a day one title update available at launch. But what will feature in the update? Well... we're not sure right now. 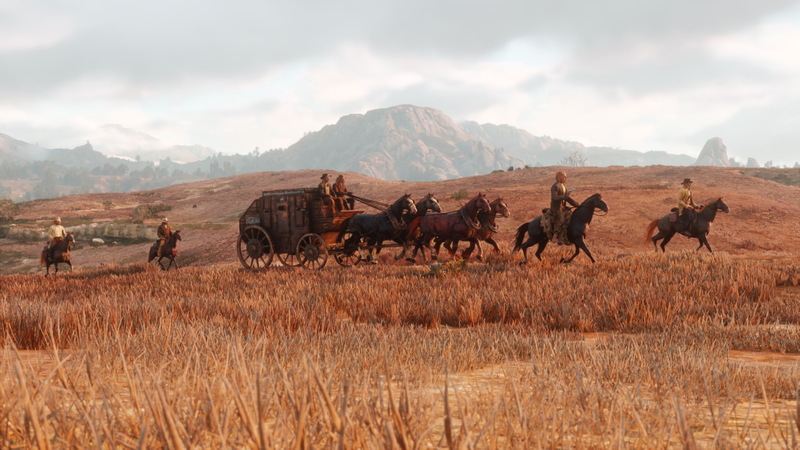 "There will be a downloadable title update addressing a number of last minute tweaks, bugs and fixes," Rockstar announced today on their official website. Day one updates are nearly always implemented for games at launch, and Red Dead Redemption 2 is no exception. With a download size of roughly 90GB, and a physical package featuring two discs, it's not hard to imagine how bugs and other issues could make their way into the final release. There'll also be a Red Dead Redemption companion app available at launch, on iOS and Android. We don't have any more information about the companion app right now, but Rockstar has said a reveal of the app is coming "later today." In other Red Dead-related news, the Red Dead Redemption online beta will be kicking off in November, and will be available to all who purchase the game. For all we know so far about the beta, head over to our Red Dead Redemption Online guide.